At present, our online shopping cart can only accommodate individual, consumer orders. Domestic wholesale customers may order directly through Amber Lotus Publishing by calling 800-326-2375, sending an email to neworder@amberlotus.com, or through one of the distributors. 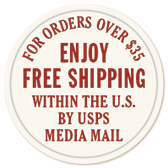 To request a printed catalog detailing wholesale discounts and terms, please fill out and submit this form. You may also view our catalog online or download PDFs of the 2019-2020 Calendar and Greeting Card Catalog and Wholesale Order Form. Orders may be placed by phone at 800-326-2375 or by fax at 503-284-6417. Orders may also be emailed to neworder@amberlotus.com (please include "Wholesale Order" and the name of your store in the subject). A confirmation email will be sent in response to your emailed order — if you do not receive confirmation within two business days, you may wish to call our office to verify that we received your order. Please do not email credit card or bank account information. To ensure confidentiality, financial information should only be phoned or faxed to Amber Lotus. Businesses, domestic and foreign, may order through one of our distributors. Please download the PDF listing of our distributors and contact the representative listed for your region.